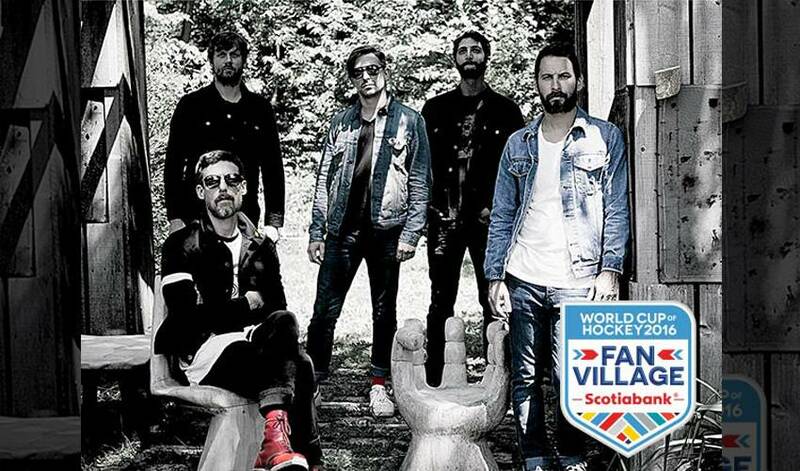 TORONTO (Sept. 12, 2016) – Canadian rockers Sam Roberts Band and singer/songwriter Daya have joined the musical lineup for the Pepsi World Cup of Hockey Premiere Party at the Scotiabank World Cup of Hockey Fan Village in downtown Toronto’s historic Distillery District on Sept. 16. Headlined by Grammy-nominated rock band The Killers, the Pepsi World Cup of Hockey Premier Party will also feature a parade of all players competing in the World Cup of Hockey 2016. Tickets to the Pepsi World Cup of Hockey Premiere Party are available for purchase via Ticketmaster.ca. Additional special guests will be announced at a later date. Tickets are $25 CAD for general admission standing room access to the concert. Pricing includes HST. Additional fees may apply. East Fan Village will open at 3 p.m. on Sept. 16, with the festivities set to begin at 4:30 p.m. Daya will open with a performance, followed by a set from Sam Roberts Band before the parade of World Cup of Hockey players. The Killers will close the Premiere Party with a special performance. A paid ticket will be required for entry into the Pepsi World Cup of Hockey Premiere Party. All attractions inside the area of the Scotiabank World Cup of Hockey Fan Village known as ‘East Fan Village’ will be included with the ticket price for that day. The Sept. 16 event will serve as the official opening of the Scotiabank World Cup of Hockey Fan Village, a 10-day free, family-friendly fan festival in the historic Distillery District. From Sept.16 to Sept. 25, Fan Village will occupy the Distillery District – renamed ‘Distillery Fan Village’ for the 10 days - plus more than 200,000 square feet of an untouched lot east of Cherry Street, which will be known as the ‘East Fan Village.’ Fan Village will celebrate not only the sport of hockey but the food, music and culture of all participating hockey nations and will feature a diverse mix of programming, designed for fans of all ages, including live musical performances, big-ticket prizes and giveaways, and viewing parties for every World Cup of Hockey game broadcast live on Pepsi Live Main Stage video screens. A paid ticket will be required for entry into East Fan Village on Sept. 16 for the Pepsi World Cup of Hockey Premiere Party and on Sept. 23 for the World Cup of Hockey Celebration of Champions featuring Green Day. Distillery Fan Village will be free and open to the public Sept. 17-25. East Fan Village will be free and open to the public Sept. 17-22 and Sept. 24-25. Sam Roberts Band is a five-time Juno Award winner. The five-piece band includes Sam Roberts (lead vocals, guitar), Dave Nugent (guitar), Eric Fares (keyboard, guitar), Josh Trager (drums), and James Hall (bass). Their upcoming album, “TerraForm,” is their sixth full-length album and will be released Oct. 28. The band’s World Cup of Hockey performance in Toronto will precede their upcoming North American tour, which is set to commence in Sherbrooke, Quebec on Nov. 2. Daya, a 17-year-old high school junior, is a singer-songwriter from Pittsburgh, Penn. Music has been central to her life since starting classical piano at age 3, moving to jazz piano at age 11, and finding her voice along the way. Daya also plays the guitar, ukulele, and saxophone. From musical theatre to singer-songwriter sessions, Daya has formed a deep passion for creating and performing music. Hits 1 on Sirius XM was the first station to fully embrace her debut single, “Hide Away,” and they lead the charge helping light up radio waves across the country. “Hide Away”began to organically catch fire online, drawing acclaim and landing on Spotify’s Artists To Watch 2015 Playlist. It set the foundation for her self-titled EP, Daya. She was featured in The Chainsmokers single, "Don't Let Me Down," which hit No. 1 on Billboard's Hot Dance/Electronic Songs chart. Daya will release her new album, “Sit Still Look Pretty," on Oct. 7. For more information on Scotiabank World Cup of Hockey Fan Village, visit wch2016.com/fanvillage. Fans can join the conversation by using the official hashtag #WCH2016.